Hello everyone, I’m back with a new colour palette and this time it’s with Aubergines and Black Grapes, in other terms, dark purples, also known as eggplant (so many names). This colour can be associated with different meanings, making it such a versatile choice for any wedding. Some call the colour royalty which will make your wedding chic and classic, where some call it gothic making it dark and mysterious. All reasons will work with that individual and you should not be afraid to use it, even if you think it resembles the opposite meaning to what you want! It all comes down to how you create it, and how you use it for your big day. I love this colour as it’s warm and rich. 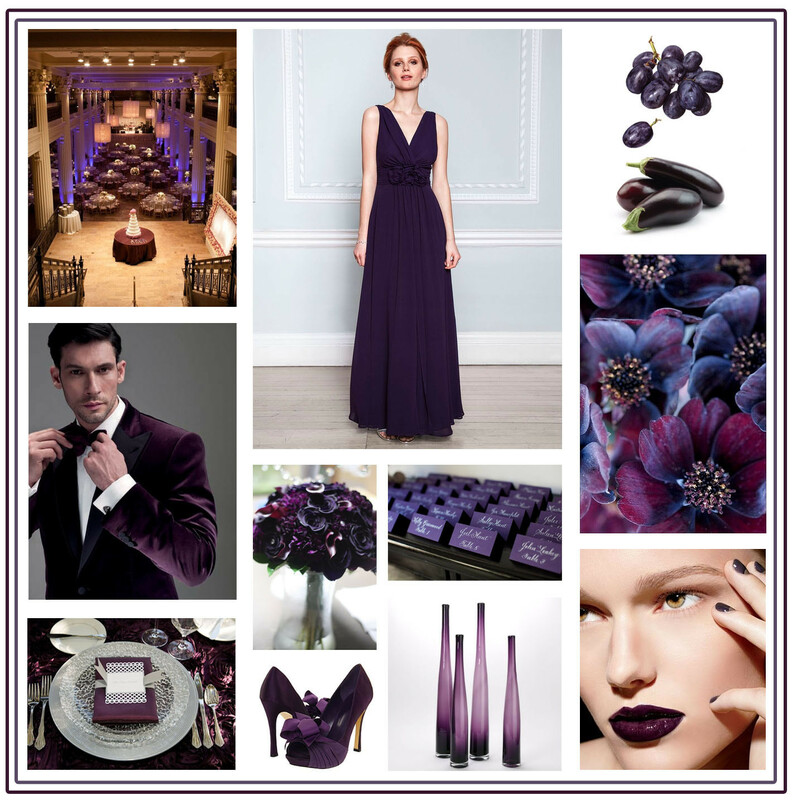 Take a look at my design board using dark purples, known to me as aubergines and black grapes. As always I’ll like to thank the following for the inspiration. See more of my inspiration on my Pinterest board – Aubergines and Black Grapes.